Guest Jack Pelton is with Aviation Alliance LLC, a new venture created to remanufacture Cessna 421s as the Aviation Alliance Excalibur. He’s the retired Chairman, President and Chief Executive Officer for Cessna Aircraft Company. Currently, Jack is serving as Chairman of the Board and acting President/CEO for the Experimental Aircraft Association. We talk with Jack about remanufacturing aircraft and how older airplanes like the 421 could be victims if 100LL goes away, and how Aviation Alliance has set up the business to utilize the services of other companies. Also we discuss the numnber of open leadership positions at aviation associations, lithium ion batteries, how AirVenture is looking for this year, the effects of sequestration, current drivers for business aviation, and even Jack’s antique airplane collection. Airport news from Australia: a new airport, a new runway, and a new lounge. Also attendance at the Avalon airshow. Business Jets and ATC User Fees: Taking a Closer Look. This entry was posted in Episodes and tagged ACI, AF447, Aviation Alliance, B787, Cessna, Sequestration on March 20, 2013 by maxflight. AF447 Comment: Rob was spot on about the effects of sleep deprivation and skills. However, another rumor that is much more of a French stereo type has emerged. BTW: Ron IS A.R.R.P. Eligible! Jean-Paul Troadec, the director of BEA, the French authority conducting the investigation into the Flight 447 crash, told ABC News that Gaignard was not part of their investigation because the agency was “not interested” in the “private life of the pilot.” Troadec added that he did not think Dubois’s alleged relations with Gaignard aboard the plane would have played a role in the accident. Air France 447 was on an overnight trip from Rio de Janiero to Paris on May 31, 2009 when it vanished. The plane crashed into the Atlantic Ocean in the early morning hours of June 1, 2009. The assumption 100LL will go away is highly erroneous and highly ignorant. The 1200 volcanoes on the planet place more lead and other toxins in the atmosphere in a year than all of the entire 100LL fleet in 100 years. Help stop the stupidity on 100LL. 100LL is not a problem, has never been a problem, and will never be problem compared to all of nature’s toxins routinely challenging our and the planet’s health. The blind have been leading the blind so far on 100LL; or highly unacceptable and highly unlawful fraud to date on 100LL. Remanufacturing aircraft within the confines of the existing FARs by small shops is much smarter than a dedicated company doing remanufacture making changes which will generate politically motivated airworthiness directives (ADs). Or refurbishing aircraft to better than new condition strictly following the original type certificates will result in a higher quality product at a lower price. No need to take my word for this. 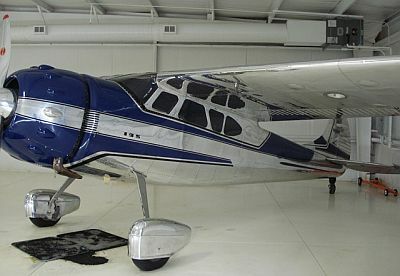 Talk to any A&P/AI small shop refurbishing older aircraft and compare quality and pricing. There is no doubt in my mind the refurbished aircraft will be better than anything new; based on my experience more than anything else. The commenters notions on Air France 447 are one of the worst distractions seen in my lifetime. If a doppler style radar had been in place as back up giving a ground speed indication when all three pitot tubes failed due to icing, the accident would not have happened. This root cause is so incredibly obvious to any trained person who has examined the data, there is almost no room for discussion. If anyone, i repeat anyone has what they think is an alternative answer, please, please, please supply it where everyone can read it.